Bridget Hogan and Robert Sheen* were married September 3, 1858 and their first child, Mary was born about 1860. This date is a deduction from the 1860 U.S. Census for South Fork Township, Delaware County Iowa indicating that Robert Shehan age 36, Bridget Shehan age 21 and Mary Shehan age 2/12 were enumerated as family number 1667 residing in dwelling 1805. Robert’s sister Johanna Shane Quirk and her family were enumerated as family number 1669 residing at dwelling 1809 so they were neighbors as well as kin. According to the Census Bureau the census for that year was taken June 1st and Mary was reported as being age 2/12 , or two months old on the census report. The Iowa Mortality Table for South Fork Township is also dated June 1, 1860 and this report indicates that Mary Shehan died of Lung Fever, duration of illness six days. Her age is recorded as 2/12 or two months old. So we assume that little Mary was born and died in the spring of 1860, perhaps in March or April. Such a short little life. Iowa, Delaware County, South Fork Township, 1860 U.S. Census, population schedule. Digital image, Ancestry.com, http://www.ancestry.com, accessed February 9, 2003. Iowa, Delaware County, South Fork Township, 1860 Mortality Table, Digital image, Ancestry.com. 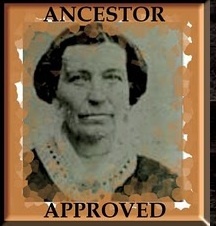 http:www.ancestry.com, accessed June 10, 2009. Susan J. Edminster, Granite Falls Washington, All Rights Reserved. This entry was posted in Deaths, Family History, Shane. Bookmark the permalink.